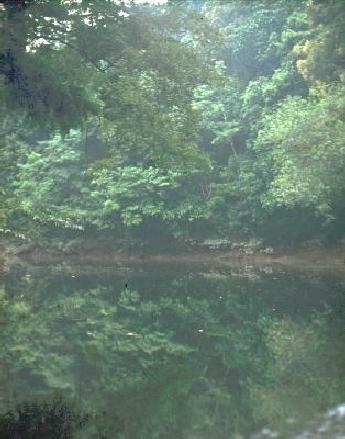 A view if the jungle from the river boat. The Darwinian phrase about survival of the fittest was never clearer to me than along the rivers. Each of the trees in the jungle seemed to be trying to do something a little extra; perhaps leaning a little further over the water than its neighbor to get at the sunshine, perhaps forsaking lower limbs in an effort to grow taller. Any tree that managed to grow more than 10 or 15 feet tall was immediately beset by vines.